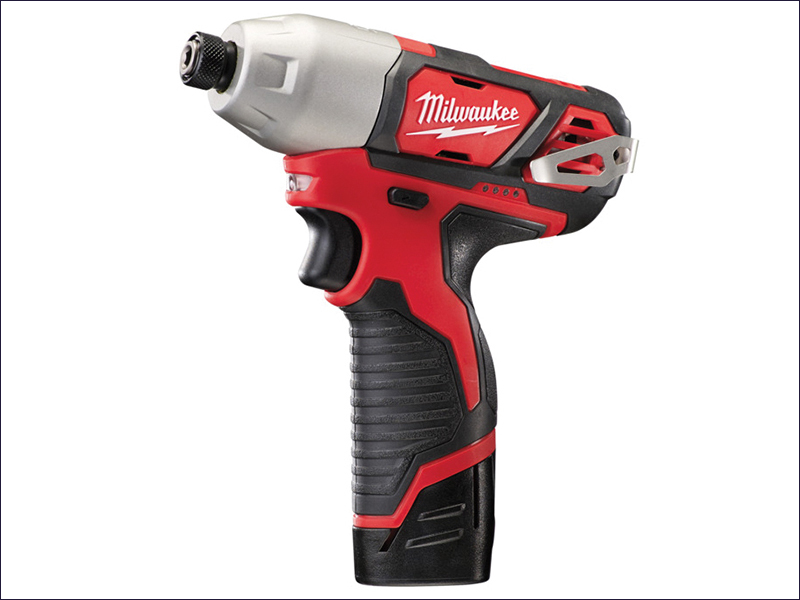 Milwaukee M12 BID Compact Impact Driver is a high performance sub compact impact driver that measures 165mm in length making it ideal for working within confined spaces. Has a heavy-duty full metal gearbox and gears for superior durability and maximum torque. The optimised handle provides improved grip and better control, and has a 1/4in Hex chuck for quick and easy bit change. The on board fuel gauge and LED light give added user convenience and illumination in low lit working conditions. REDLITHIUM-ION™ battery pack delivers twice the run time, up to 20% more power, twice the battery life and operates better down to -20°C than other lithium-ion technologies. Individual battery cell monitoring optimises tool run time and ensures long term pack durability. M12 BID-202C: 2 x 12v 2.0Ah Li-Ion Batteries.